CarGurus has 8,436 nationwide Patriot listings starting at $2,477. 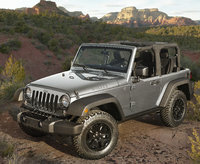 The value-filled Patriot isn't done yet, despite ongoing rumors over the past 2 years that Jeep would drop it from the lineup. For 2016, this 5-seat, 5-door compact crossover gets a new trim and even a couple of new standard features for the lower trims. 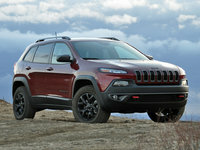 But the Patriot, despite its off-road prowess (when properly equipped), still struggles to match competitors such as the Ford Escape, Mazda’s CX5, and Toyota’s RAV4. Yet the 2016 Patriot remains one of the more affordable crossovers--and it's not as if everyone needs an overwrought – and overpriced – full-size sport ute for daily commutes and family chores. The new Patriot trim, called the High Altitude Edition, replaces the Limited ahead of the midlevel Latitude and the base Sport. The altered Patriot lineup brings some changes to the available powertrains, but all 2016 Patriots return with standard front-wheel drive (FWD) and optional 4-wheel drive (4WD). Cargo space is expected to remain a roomy 63.4 cubic feet with the rear seatbacks folded, and the Latitude and High Altitude Edition both sport a standard fold-flat front passenger seat that can give a few extra cubic feet of space. A 2.0-liter inline 4-cylinder (I4) powerplant is now standard across the FWD Patriot lineup, paired with either a standard 5-speed manual transmission or an optional 6-speed shiftable automatic for 158 hp and 141 lb-ft of torque. The High Altitude Edition also has an optional continuously variable transmission (CVT) that produces the same power figures as the others. Look for 23 mpg city/30 highway/23 combined with the stick shift and CVT transmissions, while trims toting the 6-speed automatic return at 22/27/24. Also available in the 4WD Patriot trims is a 2.4-liter I4 engine paired with either the 5-speed stick shift, the 6-speed shiftable automatic, or, when equipped with the available Freedom Drive II package, the CVT. Look for 172 hp and 165 lb-ft of torque from this up-powered I4 in combination with any of the transmissions. Mileage is expected at 23/28/25 in FWD versions with the manual transmission, 21/28/23 in FWD variants toting the automatic transmission, 21/27/23 in regular 4WD editions, and an unimpressive 20/23/21 in trims with Freedom Drive II. The 2016 Patriot will offer 16-inch steel wheels or 17-inch alloy wheels, a roof rack, and cloth or leather upholstery in the cabin, with heated front seats, a fold-flat front passenger seat, and full power accessories in higher trims. An auto-dimming rear-view mirror, cruise control, and a tilt-only steering wheel will again come standard, with upper-level trims adding reclining rear seats, steering-wheel-mounted cruise and audio controls, and manual air conditioning. Entertainment remains a 4-speaker CD/MP3 player with newly standard satellite radio and an auxiliary audio input. Further trim-specific options, other than the Freedom Drive II package, will remain largely the same, with a combination of option packages and stand-alone extras. The Premium Sound Group offers 9 premium Boston Acoustics speakers, including 2 liftgate speakers, and the Trailer Tow Group offers a Class II hitch and wiring. The Security and Cargo Convenience Group adds roof-rail crossbars, a remote garage door opener, a driver information display, a security alarm, and a tire-pressure monitor. Standalone options include Uconnect 430N infotainment with GPS navigation and 4GB of music storage, upgraded leather upholstery, and a rear-view camera. The Patriot's standard safety equipment includes 4-wheel antilock brakes (ABS), traction and stability control, front side-mounted airbags, front and rear head-protection airbags, front fog/driving lights, and a post-collision safety system. Be advised that the current year’s Patriot yet again suffers from mediocre-to-poor scores in government and insurance industry tests for crash-worthiness. Current Patriot owners complain of a few build-quality issues and a needlessly harsh ride. 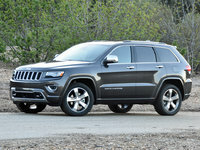 But they laud the off road capabilities of the Freedom Drive II package, and a nearly unbeatable MSRP. 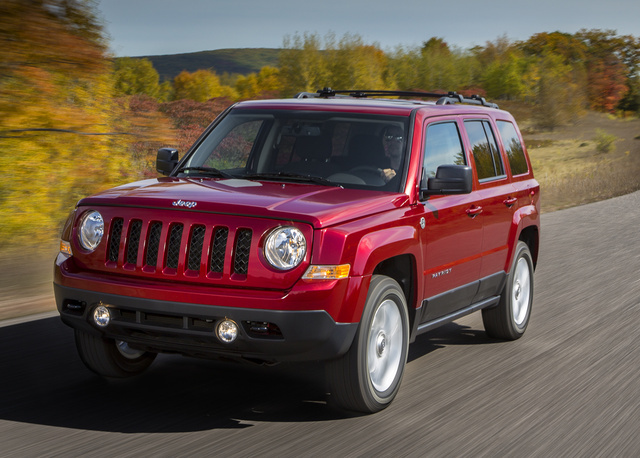 What's your take on the 2016 Jeep Patriot? 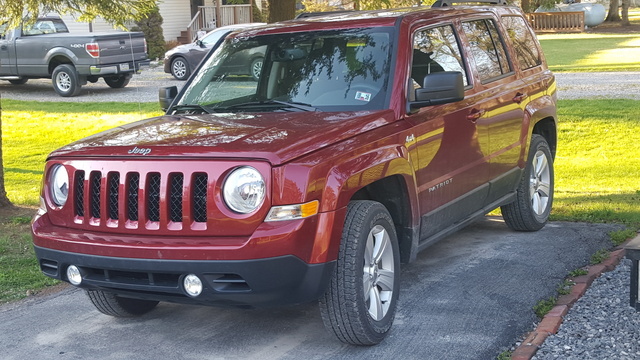 Have you driven a 2016 Jeep Patriot? Need To Find These Parts. Dumb Mistake Led To Them Getting Damaged.